*For customers who live in Japan can also purchase Loud Park tickets at Rakuten Tickets, along with other vendors shown in this page. Get your tickets before sold-out! 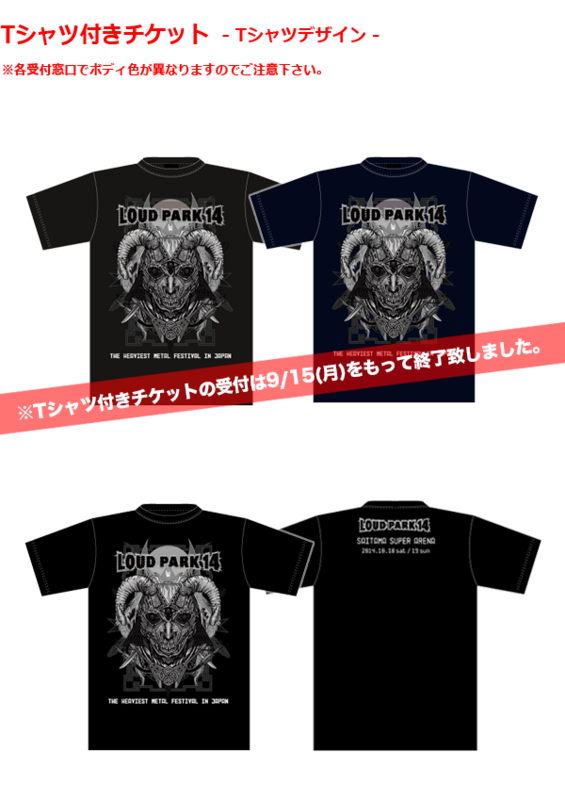 *Please read "IMPORTANT REMINDER FOR CUSTOMERS @Loud Park" in English page before you purchase your tickets.